The Eastern Washington Genealogical Society's spelling team (#7), consisting of Donna Potter Phillips, Mabel Horrocks, and Janette Birch, participated Sunday, October 26th in the 2nd annual Spokane is Spelling Adult Bee Fundraiser, which supports the Spokane Public Library Foundation. The bee was held at The Knitting Factory and the team placed 14th out of 27 teams (not bad, ladies!). The word that was their downfall was "pochismo". The Eastern Washington Genealogical Society enjoys a cooperative partnership with the Spokane Public Library. The downtown branch holds the genealogical collection of EWGS and provides meeting rooms once a month for our general meetings. In turn, society volunteers catalogue and shelf the holdings and offer assistance to library patrons with their genealogical research. Last year, I had the privilege of being on EWGS's spelling team, along with Bill Hire and Doris Woodward. Although we, too, only got about halfway through the round, we thoroughly enjoyed ourselves and were honored to give of our time and money to support the great things which the Spokane Public Library does for our community. Over 30 million names or record images were added to FamilySearch’s Record Search pilot. Significant data was published from 3 U.S. Census indexing projects (1850,1860, and 1870). Digital image collections were added for Massachusetts , Argentina, Brazil, Czech Republic, Louisiana, Russia, Spain, and Vermont (see the table below). Comment: See description online for state list. Comment: All states. Partials for Alabama and Pennsylvania. FamilySearch has a growing number of society indexing partners. FamilySearch Indexing is working with genealogical or historical societies to complete projects of mutual interest. Volunteer indexers may have noted that partner projects are not readily listed in the available batches to index online unless the volunteer has been granted permission to participate by a partner. FamilySearch indexers can request to participate in a partner project by sending an e-mail directly to the project’s contact or administrator. The society contact information is found next to the project listing (Go to FamilySearchIndexing.org, Projects, Current Projects, scroll down to partner projects, or just click here). If permission is granted by the partner, an indexer will receive an e-mail with a new user name and temporary password to use when accessing that society’s project(s). Volunteers should use their regular login and password to continue indexing FamilySearch’s open (non partner) projects as usual. Vermont Militia Records (Coming Soon), English, New! Indexes can be searched for free at http://pilot.familysearch.org. Visit regularly to see what is new! The Hanford Site Historical Photo Gallery contains photos about the Hanford site supplied by the US Department of Energy. The Richland Police History and Photo Gallery contains a history and photos for the Richland Police Department. The page is very long and because of the pictures loads slowly even over DSL connections. Please be patient. The Marlin's Photo Indexing Project being done by TCGS now contains over 29,000 names tied to photos from 1952 through 1974. This list includes over 15,000 unique names. Hamburg, October 27, 2008 – Users have to pay up to 84 USD for family tree software at Amazon.com. However, today the family social network itsourtree.com has released its desktop software called “Home Edition.” The software to build a family tree can be downloaded for free at www.itsourtree.com/home-edition. The software enables users to edit and create a family tree on their own PC. If desired, they can then upload it to itsourtree.com and share it with relatives and friends. The Home Edition offers state-of-the-art usability and technology at no cost. Besides operating in the standard GEDCOM format the software also allows the printing of various familial lists in an appropriate genealogical standard. Itsourtree.com, the fastest-growing family network worldwide, is a strong complementary to other genealogical resources. So far, more than 5 million families use the platform to combine genealogy with the fun of family communications. Is this something you, a family member, or friend would be interested in? 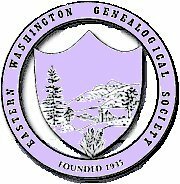 In celebration of National Family History Month, the Eastern Washington Genealogical Society is offering FREE Getting Started on Your Genealogy classes throughout the month of October. These classes will introduce people to pedigree charts, family group sheets and research through the Internet and the Library's collection. The classes are offered in the Downtown Library computer lab every Tuesday in October at two different times: 11 AM or 6:30 PM. Attend one or a few to reinforce what you learn. Space is limited in these hands-on classes; to sign up, call the genealogy desk at (509) 444-5357 on Tuesdays (10 AM - 6 PM) or Saturdays (10 AM - 4PM). A variety of soups, salad & fresh breadsticks will be served from 12:00 to 1:00. Yes! There is such a thing as a free lunch, but please pre-register by Thursday, October 23 so we know you are coming! Organization Makes Life Easier, taught by Betty Marriott, FH Consultant. Betty brings home an exciting method of organizing your family history from a class she just attended in Utah. Daughters of the American Revolution workshop, taught by Jeanne Venturino, KCGS, & Liz Jones, local DAR chapter Vice Regent. Internet Genealogy, Take Two, taught by Joseph Mitchell, University of Idaho Cartography BS and grad student in Historical Archeology. Who's PERSI? If you don't know, you are missing 1/3 of the records that are out there: taught by Connie Godak, FHC Director. Cancel Confusion! Does working with GEDCOMs and thumb drives, burning CDs, or knowing where to look for what you need to know to find what you want to know drive you crazy? This class will help! taught by Connie Godak, FHC Director. Of Course, Walk-ins Are Welcome! Don't use Google Maps to map your way to the Family History Center. It gives an incorrect location! From Spokane, take I-90 East. Take exit 11 into Coeur d'Alene. Stay to the left. Turn left onto Ramsey. Go north two miles. Turn left on Hanley. Go ½ mile to the church just past the round-about. Everton apologizes for any inconvenience that genealogists experienced with the initial launch of the Online Edition, and are confident that your experience will now be a pleasant and rewarding one. Everton is offering access to the two Online Edition issues now available at the site: Jul-Aug 2008 and Sept-Oct 2008 absolutely FREE until October 17. Simply go to: www.everton.com. ALSO - until October 27 the $12 annual subscription fee to the Online Edition of the Genealogical Helper will be reduced to $10.00, and the $29.00 annual subscription fee for the hard copy edition of the magazine (includes access to the Online Edition) will be reduced to $25.00. The Genealogical Helper is widely recognized as having no equal in terms of amount of total content, educational and research information, and lists of organizations, events, and repositories. The complete magazine is online, and all websites listed in either the content or advertisements are hot-linked. We had great response to our request a week ago for help with the Cheshire – Poor Law project. Thanks to the focused effort of many volunteers, the Cheshire project is now 97% complete! That’s a 15% increase from last week (or 5,748 batches – Indexer A + Indexer B + Arbitration). It should only take a few more days to get to 100% completion. Sincere thanks go out to all of our indexers who responded to the request. Keep up the great work! This week, two new indexing projects were added—Missouri and Tennessee from the 1870 U.S. Federal Census collection. Please send a message to all friends, colleagues, and family members who might be interested in participating in indexing the two newly added state projects or any of the current indexing initiatives noted below. Tuesday, October 14, 2008 at 2 o'clock in the afternoon. Greenwood Memorial Terrace (UPPER level). Congresswoman Cathy McMorris Rodgers will be giving the Memorial address, Reardan Mayor Sherman Johnson will speak on behalf of their "Hometown Hero", Duane Broyles will dedicate the monument on behalf of Fairmount Memorial Association, and officers from Ft. Campbell, Kentucky will present the family with a memorial plaque, as well as other very special moments planned for this event. Gonzaga R.O.T.C. will present the colors, and John Shaw Junior High School band will have some patriotic music during the ceremony. There will be many dignitaries and family members present. A reception will follow for all those attending at the Heritage Funeral Home across from Greenwood on Government Way. There will be a PowerPoint program playing about Pfc. Joe E. Mann's life, and a display of his ribbons and awards, etc. for all to view and greet family members. Questions please contact Susan S. "Sue" Walker at 477-6449. The Washington State Archives is celebrating Archives Month all over the Evergreen State during the month of October. "...[T]hrough a series of free public workshops and seminars, the State Archives reveals how historic documents can shed on people’s home lives – from the actual structure they live in, to their family lineage, to the state they call home...'At Home in the Archives' [is] an entire 31 days dedicated to better understanding historical records, how to preserve them, and how to use them to better understand the key aspects of everyday life." WHEN: Saturday, October 18th, 10:00 a.m. to 3:00 p.m. DETAILS: Learn how to research your home's history at a fun Saturday workshop. Sessions are led by staff from the Spokane Public Library's Northwest Room and the Northwest Museum of Arts & Culture Research Library & Archives. Space is limited to 15 and pre-registration is required. Workshop fee: $30 for Museum members, $35 for non-members. WHEN: Tuesday, October 28th, 9:00 a.m. to 4:00 p.m. DETAILS: If you work or volunteer in an organization that deals with historical records - whether it's a museum, historic house, city clerk's office, the library's local history room, or a historic site - and are not a trained archivist, you will want to take this FREE workshop at the location nearest you. INFORMATION and REGISTRATION: Brochure for details and registration. 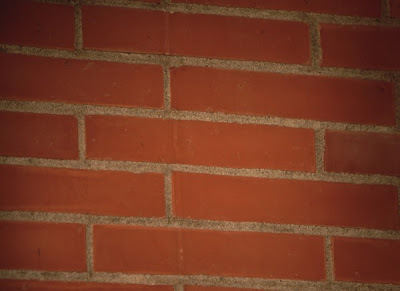 Let Our Experts Help You Break Down Your Brick Walls! Are you stuck on one of your family lines? Have you hit a brick wall? Don't know what to do next? Can't find the information you're looking for? Our panel of problem-solving experts can help you! Submit your tricky research challenges to Pat Bayonne-Johnson by Wednesday, October 15th to receive suggestions, tips, and research technique assistance at our November 1st meeting. This meeting will be held in the first floor meeting rooms of the downtown branch of the Spokane Public Library (906 W. Main). It is FREE to the general public. Coffee, Cookies, and Conversation begin at 12:30, followed by the business session at 1:00. The main event will begin at 1:30. Paid parking is available in the library basement accessed on Spokane Falls Blvd. and across Lincoln St. in River Park Square. A skywalk to the second floor of the library is accessible from River Park Square. Those who attended, agree: if you missed the Fall 2008 Seminar with Barbara Nuehring, you missed out! Ms. Nuehring brought knowledge, skill, and humor to her topics, Bytes, Boxes & Beyond, and every one of us came away having learned much and eager to try out her suggestions! Her first lecture, "Timelines: Understanding Your Ancestor's World," discussed the importance of timelines to family historians, the different types and scopes of timlines, sources of existing timelines, and methods for develoing customized timelines. Not only did Barbara encourage us to put flesh on the bones, but to add clothing and a setting to our family history! "Using Boxes to Think Outside the Box" came next, and she explained that cells and tables found in spreadsheets and word processing programs are the "boxes" we can use as tools to analyze, organize, and absorb information. Her helpful syllabus gave step-by-step directions to create an Excel worksheet from the Family History Catalog's film notes, as well as links to free downloadable pre-formated Excel spreadsheets or Microsoft Word documents for transcribing source documents. Her instructions were clear and concise and helpful even for those with limited experience with these programs. After a tasty lunch catered by the Mukogawa Fort Wright Institute food service staff, we listed to "Digitizing Your Genealogy: Relax! It's Only Bits & Bytes". Ms. Nuehring explained the importance of digitzing your genealogy files, the various types of files, how to download, photograph, and/or scan files so that they are digitized, and gave ideas on how to organize these digital files. The last was especially useful, as she gave some great ideas for naming files within folders so they are easy to find as well as easy to analyze while browing through them. "Beyond Words: Dressing Up Your Family History" was next. While her "Timelines" presentation added a setting to a family history, "Beyond Words" provided a wardrobe to our ancestors' bare bones after the flesh was added. Four areas were covered: "The Closet: Hardware and Software," "The Clothes: The Four Principles of Design," "The Cosmetics: Fonts and Attributes," and "The Accessories: Charts, Maps & Illustrations." These were followed by a list of resources for helping create a beautifully clothed family history publication. What was your favorite part of this seminar, and what did you learn? Please leave your comments below. The next general meeting will be held Saturday, November 1st in the first floor meeting rooms of the downtown branch of the Spokane Public Library (906 W. Main). A Problem-Solving Panel will be available to help members and non-members alike with suggestions for breaking down your brick walls. To receive expert help with your research challenges, submit them to Pat Bayonne-Johnson by October 15th. This meeting is FREE to the general public. Coffee, Cookies, and Conversation begin at 12:30, followed by the business session at 1:00. The main event will begin at 1:30. Paid parking is available in the library basement accessed on Spokane Falls Blvd. and across Lincoln St. in River Park Square. A skywalk to the second floor of the library is accessible from River Park Square. In celebration of National Family History Month, the Eastern Washington Genealogical Society is offering FREE Getting Started on Your Genealogy classes throughout the month of October. These classes will introduce people to pedigree charts, family group sheets and research through the Internet and the Library's collection. The classes are offered in the Downtown Library computer lab (second floor) every Tuesday in October at two different times: 11 AM or 6:30 PM. Attend one or a few to reinforce what you learn. If you are a RootsMagic user, or are simply curious about this genealogy software program, you may be interested in the RootsMagic Users Group, which meets at 7 PM on the third Thursday of each month at the LDS Church at 808 E. Sitka (this month's meeting is on October 16th). Lew and Trudy Lundy lead this group. For more information, e-mail them here. Back in July 2008, we had four computer classes devoted to four different genealogy software programs: Family Tree Maker, RootsMagic, Legacy Family Tree, and Reunion for Macintosh. I posted an article summarizing the classes here, along with helpful links for those who wanted tutorials, blogs, user group information, etc. that could help them either in making a decision on which software to purchase, or in assisting them in using the software they already have. Family Tree Maker released version 2009 in August. It was offered as a free upgrade to purchasers of FTM 2008 who had registered their software. A Family Tree Maker User blog has been started by Russ Worthington (not affiliated with The Generations Network, producer of FTM). Russ starts out by showing many of the features of FTM 2009. Randy Seaver's posts about using FTM 2008 have been indexed and can be found here at his blog, Genea-Musings. As of this date, there are 26 posts in this tutorial series. Bruce Buzbee is still working on getting RootsMagic version 4 finalized for its release. He tells me that anyone who purchases version 3 now will get a free downloadable update to version 4 when it is released. Need More Info? GenSoftReviews Can Help! A new website, GenSoftReviews.com is now available for you to research or review genealogy software, and it's all free! Did you know there's a myriad of genealogy software programs available? Not just database programs, where you enter names, dates, and places, but mapping software, organizing software, research software, and other kinds of utilities. You can check out their features, advantages, and disadvantages at this user-friendly site. Reviewers choose from five categories to rate their favorites: Enjoy Using It; Use It Often; Easy Input; Easy Output; and Overall Rating. Choose from a variety of Licenses (free, subscription, etc. ), Platforms (Windows, Mac, etc. ), Types (full-features, auxiliary, etc. ), then review it by Most Reviews, Latest Reviews, Alphabetically by name, or by any of the five rating categories listed above. Check it out! Special pricing for members ($25) and non-members ($27) will end on October 10th. Registration for $30 will be at the door beginning at 8:00 AM Saturday morning. The price includes lunch,handouts, door prizes and lots of freebies. If you would like to take advantage of the lowered price, mail your checks payable to NeWGS, c/o Colville Public Library, 195 S. Oak, Colville, WA 99114. This event is co-sponsored by the Colville Public Library and the Stevens County Rural Library District. Kathryn Doyle of the California Genealogical Society and Library Blog has awarded this blog the "I Love Your Blog" Award! This was a meme that was going around the genealogy blogosphere a couple of weeks ago, and I've only just now posted the announcement. Kathryn specifically wanted to honor genealogical society blogs, and she did a great job in her selections. She recommends checking out Chris Dunham's (a.k.a. The Genealogue) Genealogy Blog Finder to find society blogs. Thanks, Kathryn, for the award! In spite of rising energy prizes: itsourtree.com brings the family closer together. Energy costs are constantly rising while the budget for family visits is shrinking. There is less money left in the wallet for the trip to the grandparents. Online family network itsourtree.com sets itself the target to bring the family closer together by means of the platform’s communication features. The medium internet is a quick and free alternative to stay in contact with the family even at long distances. Building a common family tree is the first step to simple family communication. Other relatives can be searched for in the database and then invited to collaborate in the family tree, photos of the last family reunion can be shared with all relatives. The easy-to-use message system keeps the relatives up-to-date on everything and they get over a cancelled visit more easily. Itsourtree.com, the fastest-growing family network worldwide, has become an important research and communication tool for both genealogists and families all around the globe. So far, more than 5 million families use the platform to combine genealogy with the fun of family connection. Apart from the English site, the services are available in Germany (www.verwandt.de), in Poland (www.moikrewni.pl), Spain and South America (www.miparentela.com), Portugal (www.meusparentes.com.pt), Brazil (www.meusparentes.com.br), the Netherlands (www.verwant.nl), Italy (www.parentistretti.it) and France (www.familleunie.fr). The platform will continue expanding to other European countries as well as worldwide. Itsourtree.com is supported by leading Business Angels and Neuhaus Partners, a well-known venture capitalist. Over 29 million names or record images were added this week to FamilySearch’s Record Search pilot. Significant data was published from 2 indexing projects (1860 and 1870 U.S. Censuses), 3 digital image collections [Vermont Probate Files, Quebec Parish Registers, and Cheshire Church Records], and 3 enhanced vital record index collections [Mexico and Germany Baptisms]. Comments: Updated - reworked to improve search experience with surnames, dates, etc. Space is limited in these hands-on classes; to sign up, call the genealogy desk at (509) 444-5357 on Tuesdays (10 AM - 6 PM) or Saturdays (10 AM - 4PM). For more information please visit the genealogy area at the Downtown Library on Tuesdays or Saturdays or visit http://www.rootsweb.ancestry.com/~waewgs/. This article is written specifically for genealogists and family historians who have never attended a genealogy conference, but who may be persuaded to attend one in the near future. Genealogy conferences are a great place to learn, share ideas, meet new people, gain new enthusiasm for your research, and have your questions answered by experts. There are hundreds of genealogy conferences, seminars, and meetings held every year across the United States and abroad. Many of these conferences are offered in the spring and fall. Here are ten reasons to attend a genealogy conference. 1. Knowledge: Stay up-to-date on the latest information in the field. Most conferences offer a keynote address, as well as a variety of classes. Some classes are for beginners, and others are for the seasoned genealogist. In these classes you will also have the opportunity to learn new research methodologies and techniques. Whatever, your level of experience may be, there is a conference out there just for you. 2. New People: Genealogists are social people. Once you’re at the conference, you will have the opportunity to meet a lot of new people, some of whom may even be researching your same line. Even if you don’t find a cousin, you will meet folks that may have some ideas to help you with your research. 3. Audio Recordings and Syllabi: Many of the conferences you attend will offer a syllabus, which contains the notes, handouts, additional Websites and overviews of the presentations. Often the syllabus will also contain the biographies of the speakers. These syllabi are thick books filled with a goldmine of genealogical information. 4. Products and Services: At most of the larger genealogy conferences, and many of the smaller conferences, you will find a vendor hall full of genealogy products and services. Take some time to see some of the latest innovations in genealogy. Many of the vendors also offer something free (whether that be a trial subscription, candy, pens, magazines, stickers, etc.) simply for visiting their booth. WorldVitalRecords.com usually offers free newsletter signups, drawings to win a free subscription, stress balls, candy, luggage tags, and more. 5. Luncheons and Banquets: What would a conference be without a luncheon or banquet? These gatherings offer delicious food, networking opportunities, and even an opportunity to hear from a well-known genealogist or family historian. Individuals and companies who sponsor the conferences want to make your life as easy as possible, and often provide a luncheon or banquet that takes place at the conference venue. 6. Libraries, Research, and More Libraries: Often conferences are held near a library. This will give you an opportunity to research to your heart’s desire… but make sure you come back to the conference. Many times the libraries will also be open for extended periods during the conference to allow everyone interested a chance to visit and use the library resources. 7. Genealogical and Family History Societies: Many society members take the time to attend the conference and put up a display. Their booths are usually located in the vendor hall and are often full of friendly people, books, pamphlets, and information about the society. You can join one or more of these societies and contribute to their success. 9. Networking Opportunities: People from all over the world attend some of the larger genealogy conferences. Even if you attend a smaller conference, chances are you will meet many people from all walks of life. Genealogy conferences are great places to network with others. 10. Meet Professional Genealogists and Family Historians: It’s true. Conferences are the place where you can meet many professional and well-known genealogists, as well as individuals who have shaped the field. These individuals are usually at the conferences to lecture, but also attend because these events are where new information, breakthroughs, and innovations in genealogy are shared. © Whitney Ransom McGowan, 2008. Used with permission.